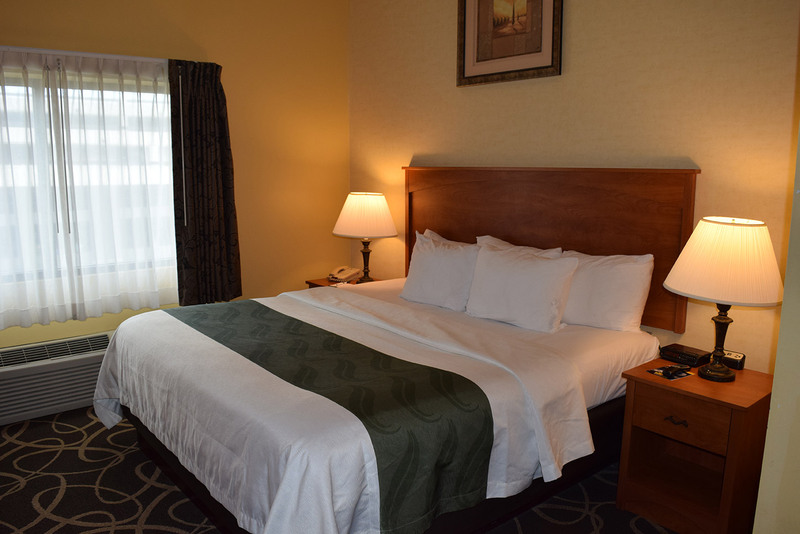 Our well appointed guest rooms are equipped with a LCD HD-TV, desk, iron / ironing board, hair dryer, refrigerator, microwave and plenty of room for comfort. Additional needs such as cots and cribs are available upon advance request at the front desk. The Quality Hotel & Suites is also a pet friendly location. Please contact the front desk in advance for a pet friendly room. Complete with two queen beds, refrigerator, microwave, coffee maker, hair dryer, iron & iron board, LCD HD-TV, phone with room voice mail, wireless internet connection, desk, and in-room safe. 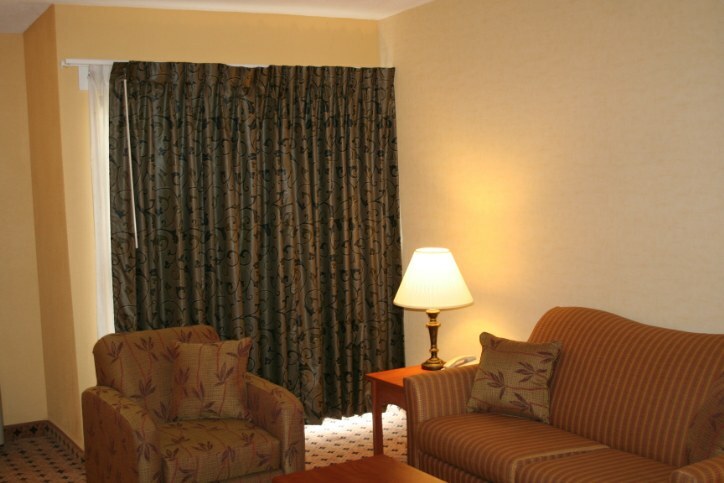 Enjoy your stay in a comfortable and luxurious king bed. 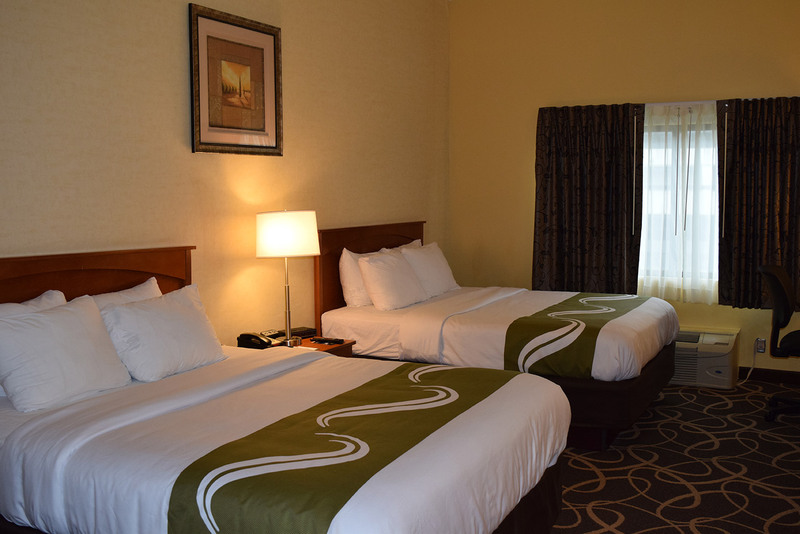 Our Junior Suite King rooms come with a flat screen LCD television with HD Programming, business work area, Free Wireless Internet, pull-out sofa, refrigerator, microwave, and coffee pot. Parlor Suites are twice the size of a standard room and consist of a living area with a pull out sofa bed, and a bedroom with either two queen or one king size bed. Enjoy the comforts of a microwave and small refrigerator standard in this suite. An accessible Parlor Suite is also available. 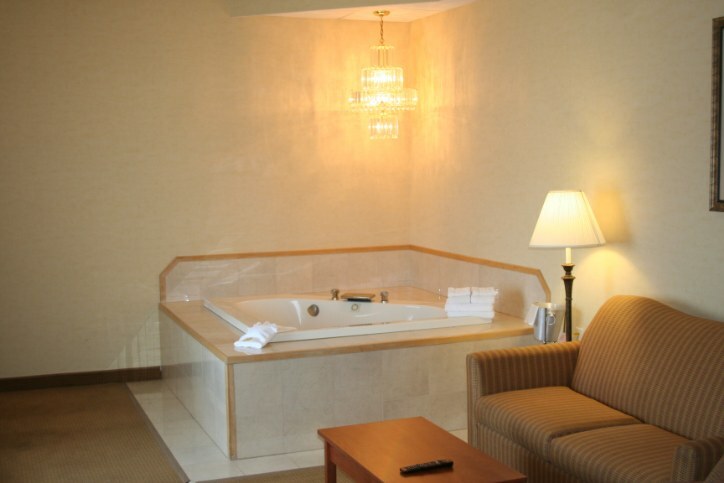 This luxury suite is twice the size of a standard room and is sure to relax you, complete with a whirlpool, flat screen LCD Television and either two queen or one king sized bed. Enjoy your stay with all the amenities you need like an in-room refrigerator and microwave, business work area, wireless Internet, and pull out sofa.